Tamzin has a Teaching Assistant Diploma and was a regular volunteer at South Gosforth First School (SFGS) in Newcastle upon Tyne. She voluntarily set up a new weekly opportunity at SGFS for Key Stage 2 children called Zine Club. It was a highly creative club, which involved group writing, drawing, character creation and comic strips. Themes included The Beano, Lego and superheroes and during the club, children used computers, cameras and iPads. Two large collages were also created – one featuring The Big Friendly Giant and the second based on photography at the school. Much of the work created in Zine Club was used as content for an online magazine The Hoot! 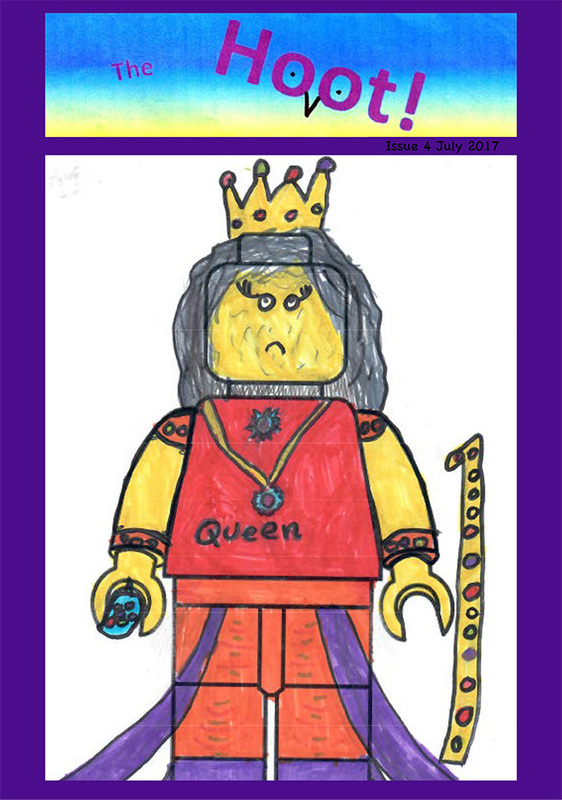 This was a biannual magazine, designed by Tamzin, and published privately on Issuu for SGFS. Here is a pdf of The Hoot! (all children’s details have been removed).